… it's who you think you're not. Okay so today I was out with a friend and we stopped in Sally Beauty Supply. I’ve never been there before but I was curious about the dotting tools I hear so much about on youtube. Can you believe the store didn’t have any? Only fine brushes and stuff like that. I was majorly disappointed because that’s where everyone always says you can find them!! So then we were talking about Essie and my friend, Jill, was saying that she loves the fall collection and I told her i am in LOVE with Lady Like. She didn’t remember that one so we stopped at Target so she could see it, and of course she ended up buying it LOL. 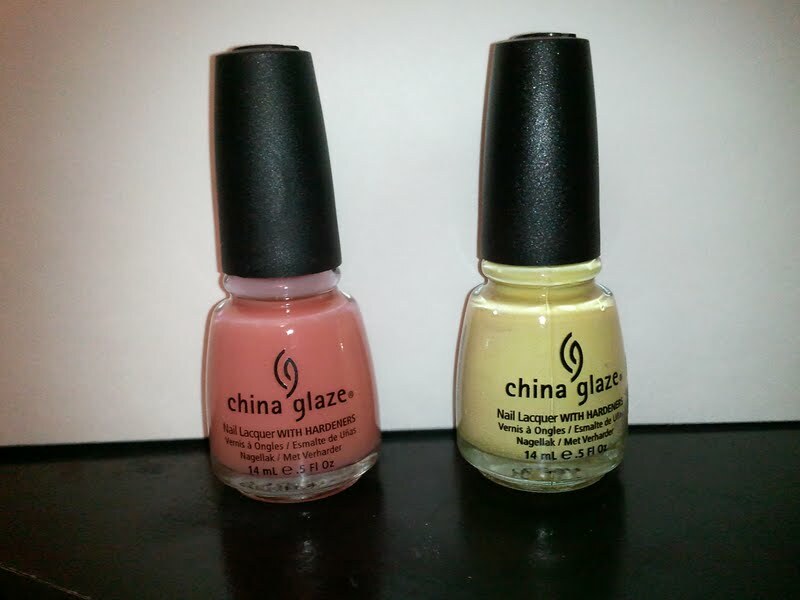 Almost all the polishes are also on sale this week at Target and much to the dismay of my Fiance, when he reads this, I could not help myself and I picked up a couple. 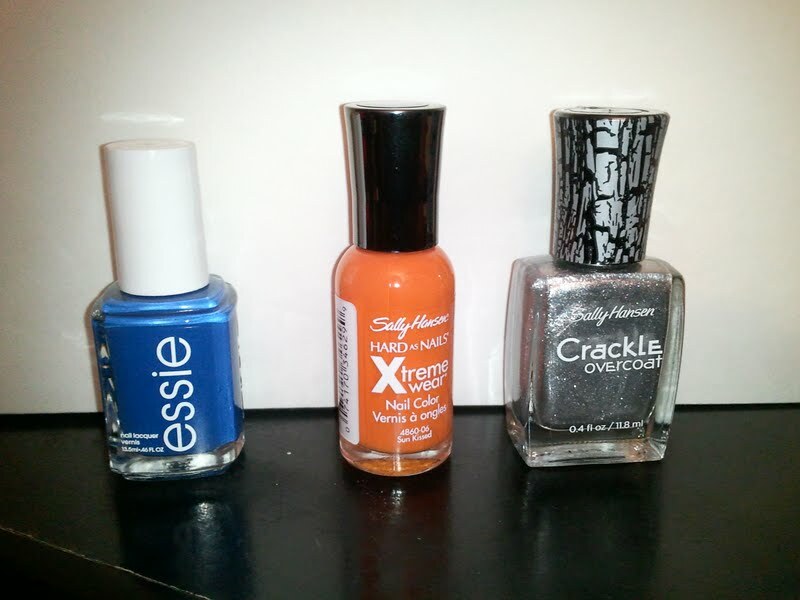 Sally Hansen Xtreme Wear in Sun Kissed – it’s an orange color that I bought with stamping pumpkins in mind – ’tis the season. Essie in Mezmerised – a beautiful non-shimmery (usually just the way I like them) fourth-of-july lookin’ blue. I’m happy with these polishes. I put on three coats of the Love Letters and put the fractured foil on my ring finger. It looks so pretty! I also swatched all of them with the fractured foil over top, and I have to say the Lemon Fizz looks awesome. I like light blue under it too. I think if you put white on your nails first and then topped them off with the love letters, that would look really great too. I’ll have to try that next time. As for the powder, awhile back I found the Smashbox Halo Hydrating Perfecting Powder on amazon for about half of its actual cost. It’s super expensive, like what, $60 at sephora? I found a full sized one on amazon for about $30 a couple months ago and I’ve been using it lately over my foundation (Revlon Colorstay) in place of my normal powder, which is just the pressed powder in the Colorstay line. I was skeptical after reading all the mixed reviews, but after trying it for myself, it does really minimize the appearance of my pores and gives me a glow that the other powder just will never give me. I don’t think I’ve had any problems with it breaking me out yet as some people have, but who knows. I have only been using it for a couple weeks. It does make me oilier though, I have to blot throughout the day now but I think the more natural finish it gives my foundation comped to the regular powder makes it worth it. 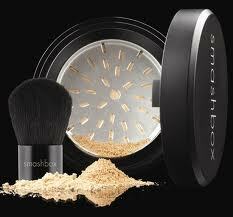 I also appreciate that it is a solid that you “shave” into loose powder by turning the sifter. That way you get what you need and waste less. It can be used as just a foundation, but I haven’t tried it like that. It’s supposed to improve the look of your skin over time, which would probably work better if you did put it directly on your skin instead of overtop of a foundation, but I haven’t been willing to try it like that just yet.